There is something about me that most of you don't know. 2008 was a huge year for me. Not only was that the year that I started this blog, but it was the year that I healed from a long battle with something that I still don't have a name for. I have struggled with health challenges since I was three. Until I was thirteen, I ran a fever every four to six weeks. Despite hundreds of tests, we were never able to find out what caused the fevers. Even after the cycle of fevers were broken, my health was still not great. Fatigue was my constant companion. I was quick to pick up illnesses, and had unexplained pain in my legs. There were days I would cry, because I didn't have the energy to take a long walk. It was during this difficult time that I lost myself in story worlds. Whether it was reading a book or writing one of my own, stories became my escape. No matter how tired I was, I could still create stories or read them. Starting in 2007, still without a name for the illness I battled, I started to heal. I hadn't changed my diet or started take any pills; my body just slowly started to grow stronger. 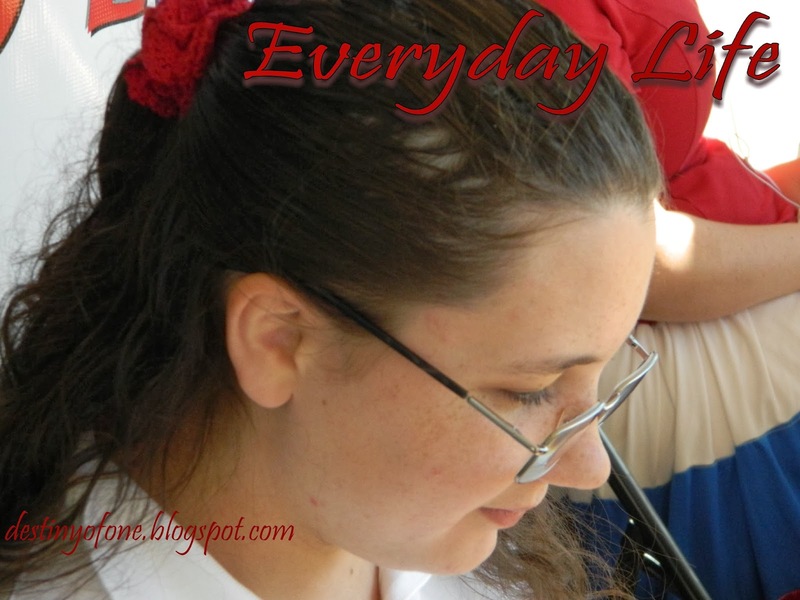 In 2008, my good days were more than my bad days, and on my birthday, I started this blog. Because of my history, I am a little scared right now. For the past month, my energy level is way down. Yesterday, I spent the day watching movies, because I didn't have the energy to do much else. I fear I am returning to those days when I have almost no energy. However, with that fear comes a reminder of the lesson I learned during that time in my life: God is my strength when I am weak. What lesson is God teaching you or reminding you of today? I'm sorry you have been battling this, Sarah, and I will pray that it's not coming back. It seems like you have a great attitude about it, though. May you keep your trust in the Lord! He's always there for you. Praying for you, Sarah! Thank you for being an encouragement even in the midst of this. You're in my prayers, Sarah.